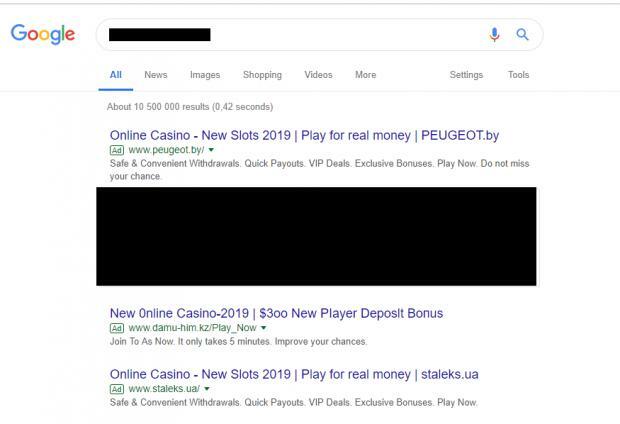 Golden Star Casino is being promoted via Google Adwords utilizing hacked websites. All three ads use hacked domains to redirect to your casino. When I click on the first ad (www.peugeot.by) I'm initially directed to hxxps://traffplay.com/refer/1billion8?ctag=2at4dbu1c03puju1v3 which then redirects to Golden Star Casino.